Well i wouldnt suggest you joining either of the college because both have pretty bad ROI, with an investment of around 10lakhs and if getting placed then adjusting with 5 to 6 Lakhs. With this said ITM Mumbai is better than IBS Mumbai because it was established before IBS and also has smaller Batch size. Both have good and similar finance companies coming on campus so not a major difference there. Somehow IBS brand is more renowned because of the word of mouth so if you have to tell anyone where are studying MBA then it feel more comfortable to tell you are studying in IBS. With all this said ranking wise ITM mumbai comes above IBS Mumbai, but make your choice based on your reasonsof why do you want to do an MBA. ITM Navi Mumbai offers a 2 year PGDM course with total fees of Rs. 9.3 lakhs. According to last year, placement reports average salary offered by ITM Navi Mumbai was Rs. 7 lakhs per annum and maximum salary offered was 15 lakhs per annum. Both of them are decent college but still, if you need to choose between the two of them then you give a preference to ITM Navi Mumbai for marketing. What is the average placements of IMS davv indore in finance and what percentage of students are placed approximately? It has a very good placement record with 90% placement ratio and an average CTC of 6 lakhs per annum. Placement company like Nestle offers 4 LPA , Axis bank offers 3.2 LPA ,Deloitte offers 6lpa, Bajaj finserv offers 7lpa, HDFC mutual fund offers 5lpa, HDFC BANK offers 6.4 LPA.More than 30+ companies visisng every year..
& Yes this is One year figures, The figures might be change according to demands of company...But yoy can expect a good Return of investment if you are in top 50% batch.. The JNU university has a great course for the MBA in Finance. you can easily apply for that. They require the result too. Hope you are doing well. I will give a holistic view of MBA in Finance from Bhavnagar University. Bhavnagar University, Bhavnagar was established in the year 1978. It is now known as Maharaja Krishnakumar Sinhji Bhavnagar University, Bhavnagar. The university offers academic courses in Arts, Commerce, Science, Engineering, Medicine, Management, Rural Studies and Law Faculties. It has 22 departments, 18 postgraduate centers and four recognised institutes and research centers. The University also pays much attention to faculty enrichment and social awareness programs. It has been enhancing extension of the frontiers of knowledge. Master of Business Administration (MBA) is a two-year full-time postgraduate course offered by Maharaja Krishnakumarsinhji Bhavnagar University, Bhavnagar. A candidate who has passed Bachelor's Degree or equivalent in any discipline from a recognized university. In addition to Bachelor's degree one has to appear and pass the entrance exams such as CAT, CMAT or MAT. #Personal Opinion : THe university is good. But If you really have the zeal to learn finance from your heart, you shoul go for IIM Culcutta, NMIMS Mumbai. If you do not want to go out of gujarat you should do your MBA from Ahmedabad. There are some good colleges such as Nirma University, BK School of Business Management etc. You do your MBA only once. So chooce the colleges wisely because the tags will be for lifetime. Hope I answered your query in detail. If you have any further queries you can comment over here. Please upvote my answer if you liked it. All the best for your future. MBA finance is a postgraduate management course. Finance is one of the most sought after specialisation and finance is not just limited to banking , it is much more than that. Finance is the backbone of any organization , it gives you lot of opportunities in government, and private sectors. Also it will cover courses and skill relate from mathematics, investment, investment strategy, local and global economics , mergers and acquisitions, corporate risk , financial theory etc. You need a strong background in mathematics and good managerial and communication skills . Getting into top school requires competitive GMAT score. MBA finance has great scope but you need to work hard and score well in competitive exams. And recommend top schools which offer finance specialisation. Please go through following. You will get the most details. What are the pre-requisites for an MBA in Finance? One needs to be good with numbers, balance sheets, and has to have an interest in financial analysis, financial crisis management. A minimum score of 50% and above in their graduation, and a score in CAT, MAT, GMAT is also needed. Four to five years of work experience in the business and management field is an added advantage. This degree is generally about two years, and a postgraduate degree offered by most Indian universities, and business schools. Generally, the first year of the study of this degree is dedicated to simple management theory, while from the second-year students are allowed to study their specialisation, along with industry exposure. Certified Public Accountant(CPA) – CPA’s deal with taxes, wealth management, investments, audit and other finance-based roles for companies or even for an individual. Certified Financial Advisor (CFA) – Roles are helping people to make wise investments and managing money, and building investment portfolios. Certified Management Accountant (CMA) – Forecasts the profit margins of companies and helping to achieve financial growth, and protecting the company from financial risk. Financial economics – This course deals with microeconomics and the relation between producers and consumers in a given economy. While studying about finance, the most sought-after courses are diplomas, bachelors, and postgraduate in finance and marketing. Among these, the most significant cause for the contemporary job market is an MBA with Finance specialization, which has been a favorite amongst students and working persons for the past few years. Now the question arises, that MBA it is a degree of business administration, then why a specialization in Finance? Well, the answer lies in the question itself. Demand in all industries – MBA, in general, focuses in business administration, and sometimes it also has specializations like HR, marketing, sales, operations, etc. while finance is a subject that is responsible for managing and maintaining the costs and capital required for these aforementioned sectors. So unlike certain specialized streams of MBA like IT or hospitality, this one is not confined to certain specific industries alone. No matter what industry it is, the demand for an MBA in Finance will always be there, which solely makes this stream highly versatile and much in demand. Expertise in handling Corporate finance – Corporate sectors require financial assistance, in terms of how their profits and losses are to be handled. How the finance should be controlled, and managed in a way that it does not harm the company’s reputation or the company’s credibility in the market is something that only Finance managers can deal with. Hence an MBA in Finance is the top choice for many. Deliver financial stability – Over the past few years, companies which have been incurring losses and are not able to save profits need financial managers to sail them through the market, that remains unstable most of the time. With an MBA degree in Finance, you will have that necessary knowledge and business acumen to pull a company out of danger and help it grow and earn financial stability. Strategic acumen – And one can only become a financial manager or financial analyst by pursuing a degree or diploma in finance that teaches strategy, statistics, economics, leadership, and market situations. A finance manager is generally one that possess a keen sense of strategizing and planning, which makes them highly lucrative assets in any organization. This statement itself says how much scope, studying or pursuing a career in finance has. And it is more important to emphasize the fact that even after several financial problems our country has faced, the most recent being the demonetization announced in November 2016, the study or the wish of studying finance as part of MBA curriculum has gained momentum instead of dying down. The scope that the students get while studying MBA in finance varies from being a financial advisor to a company to being a financial manager, asset management executive, cost manager, investment banker, to name a few. In the Government sector too, the utility of a financial analyst, or a manager who can understand and manage finance is significant because along with private assets, public properties, and government offices to need financing to function accordingly. Investment banker- Gains capitals for the company from other prospective shareholders, and also aids in the private wealth risk management, and helps in managing bonds and securities. Cost Accountant– One can also pursue a career in cost accounting as the MBA in finance in India also teaches students about auditing, costing, accounting, etc. Financial analyst– A financial analyst analyses the market situations, investments, shares, bonds, assets and every financial component of a company and observes the risks and downs, and advises when to invest and when to not. Financial officer– A financial officer can work for banks, credit unions, public sector company, or any company that deals with funds and capital. They can be loan officers, securities trader, brokerage expert, taxation expert, etc. Consultancy services– Amidst all these, one can also counsel government and private offices on financial aspects as part of a freelance job. It is a great opportunity since almost everyone requires financial advice to go on with their day to day work. And the advantage is one will not have to work under anyone and enjoy a great work-life balance. Further studies – One can also pursue Ph.D. in Management after an MBA in finance and become a professor in a college or University, teaching students about finance and creating future financial planners, and CFOs (Chief Financial Officers). Hope I answered your query in detail. If you have any query you can comment over here. Please upvote if you liked the answer. All the best for the future. Hope you are doing well. One can not do other diploma courses along with MBA as he/she is not going to have that much of time.I would suggest to do some certification courses that will help you to excel in your career and will make your resume look better than others. I will list down some of the certification courses for all the specialisation that one can do. Chartered Financial Analyst (CFA), certificate courses for everyone who is interested in finance. Certified Information Systems Auditor (CISA) - There is a growing demand for professionals who are expected to monitor the information technology and the business systems and processes of any organisation. This certification helps provides you the required skill and knowledge in this area. SAP – SAP is another prevailing trend in today’s business and technology revolution. It helps you with the ability to use the currently available data to predict customer’s trends and many more. And there is great demand for SAP-certified professionals all over the world. Digital Marketing certificate courses can be chosen by any MBA degree holder. Digital Marketing has a great future scope. Supply Chain/Operations: Six sigma certifications are for those aspirants who are pursuing MBA in Supply chain/operations. Marketing (Online Certifications) for Google Adwords, Hubspot inbound, Google analytics are the prevailing trends in today’s world and have a great future scope. IT/Systems: Cisco and other networking-related certification are for individuals who are doing their MBA with IT specialization. Hope I answered your query in detail. If you have further queries you can comment over here. If you liked my answer please upvote it. All the best for your future. Hello, hope you are doing well, Institute management and technology Noida college for MBA are good for placements as well it also supports with good environment. Around 90% of students over there get placed from IIMT. The highest package offered was around 12-13 LPA. There is an excellent library available over there which helps you to upgrade your skills related to the management. I suggest you as a very good college both in placements as well as a good environment college. One of the most popular choices for a successful career is Bachelor of Business Administration (BBA). Bachelor of Business Administration in Human Resource Management is one of the most popular courses. The course is a combination of general management techniques and expert training in Personnel Management/ Human Resources. Bachelor of Business Administration in Banking and Insurance makes a student aware of the concepts and fundamentals used in banking and insurance sectors. The degree course focuses on the basic management concepts and provides specialised training. Bachelor of Business Administration in Information Technology is a combined study of the fundamentals and functional areas of Information Technology and Management. This undergraduate business management course teaches students about foreign trade or international trade. Here, students gain knowledge about exchange of goods, capitals and services. When choosing the best business major for you, it's worth bearing in mind that your choice will affect the fields of work available to you after graduation, as each field has its own career options, educational requirements, and job prospects. Hope it helps! Comment Down if you have any other queries... Goodluck! Hello, Hope you are doing well. Yes this college is best for the finance specialisation. IBS banglore is one of the leading B School of India which is established in the year 1995. Every year this college gives the oppurtunities to the candidates to shape their future and take stand in this competitive world. IBS has a uncomparable infrastructre which contained well equipped educated faculty, well stocked library, seprate hostel for girls & boys etc. The study method is well known of this college which include case study, practical training, workshops etc. As this college invites variety of companies to their campus in order to hire the candidates. This college holds a 100% placement record in which a candidate gets an average package of 5-6 lakhs per annum.For enhancing the industrial and managerial skills of the candidate this college also provides internship programme to the candidates so that a candidate is able to handle this corporate competitive world after the completion of the course. The fees of this course is 8.01 lakh for 2 years which is not so high as compared to the return gets a candiadte in those two year. A candidate can get admission through the entrance test namely XAT, CAT, IBSAT, NMAT etc in this campus. For getting admission in this college a candidate have to work hard. Graduated in Accounts and finance. 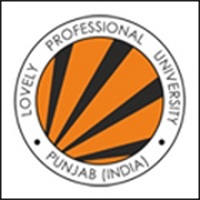 Usually Universities offer 2 year PGDM but there is one University that offers 1 year PGDM . ISBR college of Bangalore University offers 1 year PGDM in management with specialisation in marketing, human resource and business administration. A rigorous and challenging course, fine tuned to meet the current trends and future needs of the Industry, It is specially designed to give the student a holistic experience that goes beyond academics to benefit the student personally and professionally. The teaching methodology is a blend of theory and interactive sessions, field work, projects and presentations. Candidates with 40% percent marks in aggregate in Bachelors / Masters Degree of a recognized University are eligible for admission. Preference will be given to candidates with work experience and candidates sponsored by a business or industrial concern. There are many universities that offer 1 year MBA programs but they require 5-7 years of work experience. Most B-Schools listed below accept GMAT scores during the admission process. Some B-Schools also accept CAT and XAT scores or conduct their own admission tests. To be eligible for the programme, candidates (at least) need to be graduates and have a few years of work experience. The years of work experience criteria varies from college to college. But the average requirement is five years.